The Tigers defeated second-seeded and defending NCAA Tournament champion Denver in the first round of the NCAA Divison I Men’s Lacrosse Championship 10-9, Sunday. The Tigers will face Loyola in the quarterfinals in Columbus, Ohio. This is the first time since 2003 that the men’s team have reached the quarterfinals. The game is set for Sunday, May 22. 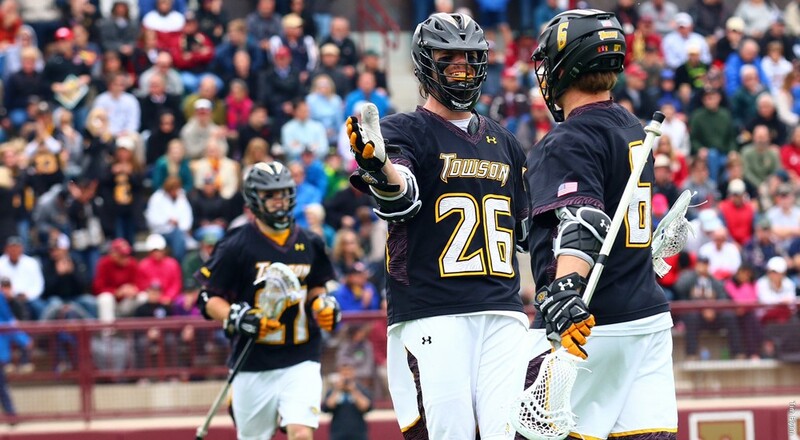 Earlier in the season, Towson defeated Loyola 10-8. Junior Joe Seider got the Tigers on the board with an unassisted goal with 8:56 left in the first quarter. Denver took two early goals in the fourth quarter, bringing the game to a 7-7 tie. After the Tigers took the lead at 10-7, Denver scored twice in under minute but were unable to force overtime. This is the first time that the men’s lacrosse team has earned a win over a number two ranked team since joining Division I in 1980. The men’s team earned victory against number three-ranked Princeton in 1991, when the team was directed by Bill Tierney, who is now Denver’s head coach. Goalie Tyler White managed 13 saves for the Tigers and earned his 16th win of the season. The women’s team fell to seventh-seeded University of Pennsylvania, 12-4. The women’s team finished with a 16-4 record, tying them with the 2012 team for the best season in program history.